We are going to share very useful post how to hard reset android mobiles using PC. 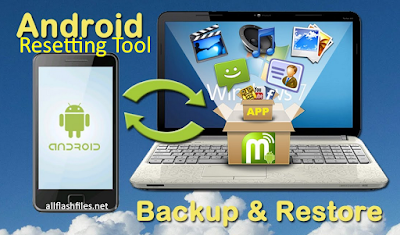 You can reset all over android and smartphones with your PC by using different resetting tools or boxes. Some times your you are forgetting your mobile password and will need to hard reset your mobile with your PC. Android phones consist on recovery partition with different options for cleaning data and restoring factory settings. Some times your android booting recovery image is not always working. You can reset your android phone by Google method Debug Bridge command-utility for accessing your device and executing your commands without touching your phone by your PC. The performing of ADB commands on your phone for advanced users and it is not available on android developer websites. However Google have published this shell commands of recovery image. First of all you will need to android developer site and will need to download the android system development. If extracted process will be completed rename your located folder like as "Android ADT"
Now click PATH and edit in the system variable window. If editing variable system will appear on your screen select your PATH variable or it will selected automatically, Now click on end. Now you will need to type C:\Program Files\AndroidADT\SDK\Platform-Tools\". Remember the included semicolon must be beginning of the PATH, and click save changes. Now move your cursor to right top corner of your screen and click search box or it will be shown from start menu, Now type CMD in the search box and click on program icon to find the command Prompt window. Now turn your android mobile and connect it with your PC via compatible USB data cable. And type "ADB Shell" and press enter. When ADB will connect your device type wipe-data and press enter. Your phone will restart in recovery mode and will restored in its original settings. Remember: you will need to fully charged your phone before restoring. If you are facing difficulty during restoring feel free to contact us via commenting we will help you if possible thing for us. If you have and experience in flashing or you can do this process easily. No internet connection needs to this process.